Auto Add-ons' Truck Caps are designed to fit your specific needs. 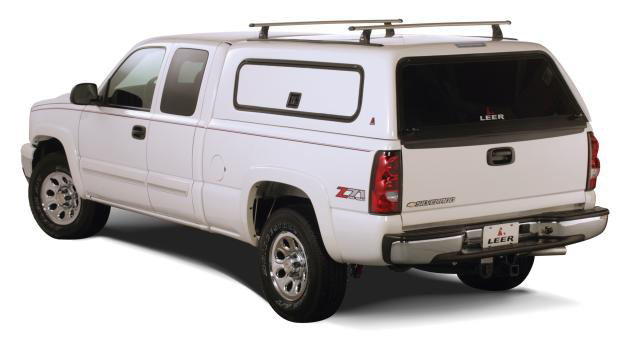 Our Truck Cap features include fuel saving aerodynamic styling, convenient lock options, matching OEM factory colors, and interior lighting options. Come in and see our Truck Cap products for more details. 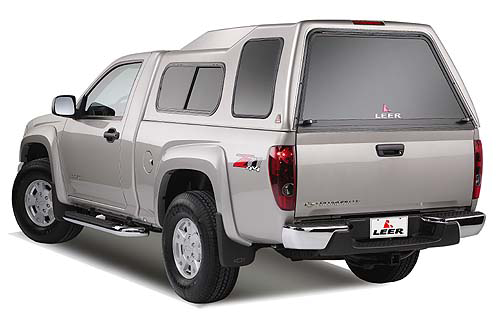 LEER fiberglass truck caps (or camper shells) and tonneau covers provide pickup truck owners with the ideal way to secure and transport cargo. 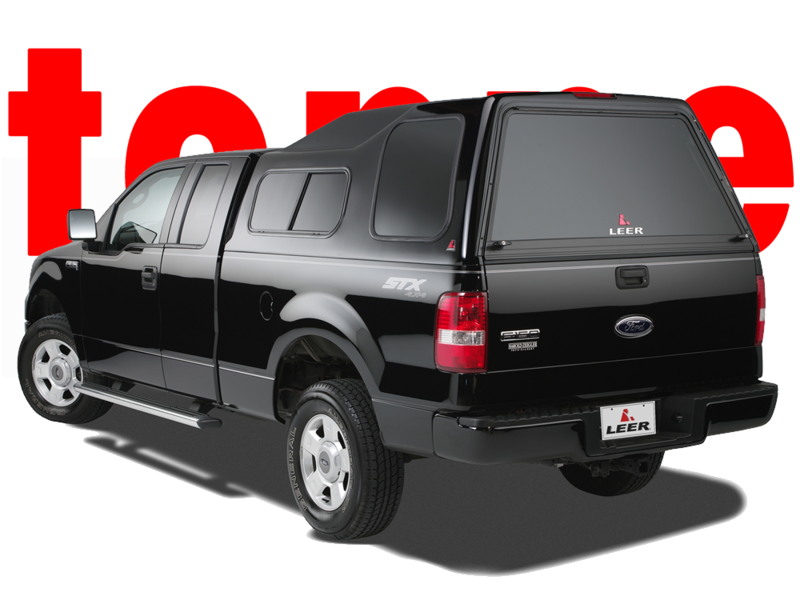 Custom-designed to fit virtually every pickup on the road today, LEER toppers can enhance the value and usefulness of every truck on or off the road. We trust and stand behind the quality of LEER toppers are they are top of the line in their industry. You can be assured when we order your topper it will fit your truck like a glove. 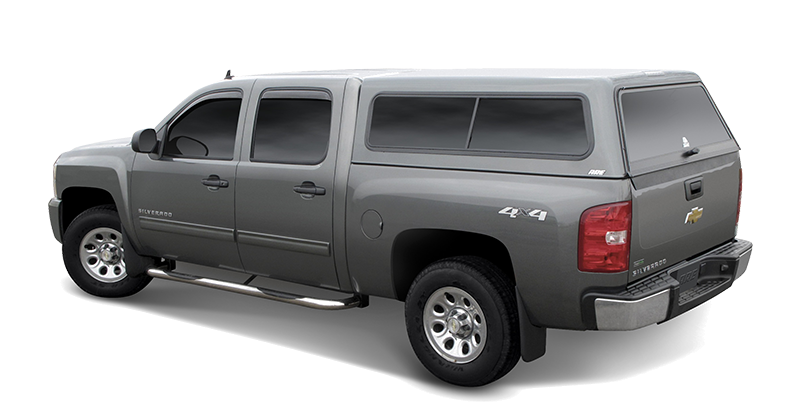 Having a wide selection of models and designs we are sure that we can find the right topper that will change your outlook on your truck. 1What kind of routine maintenance do you recommend for my new topper? Our cap engineers suggest: Check the tightness of clamps after the first week of operation; then again every 6 months. Clean the track on sliding windows and twist windows to remove any dirt. Application of a dry silicone, such as Camie 999 in the track will allow for easy operation. Push buttons and lever arms can be lubricated every 3 to 6 months with lithium grease or equivalent. 2What is the VINdicator all about? VINdicator is the name of the program LEER uses to identify paint color variants used by the truck manufacturers. Dupont Automotive Paints keeps detailed records of all the paint formulas and the variants that run in the truck plants throughout North America each day. 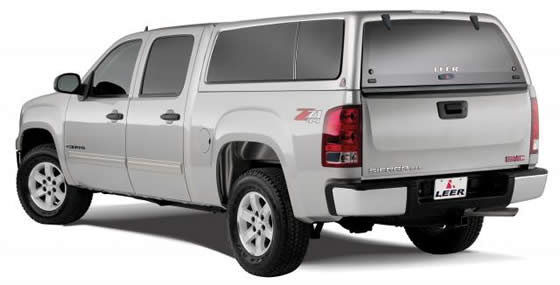 We can access this data using the VIN number of your truck in the VINdicator system. Our paint shops can dial in the variant used on a particular truck using the VINdicator information. VINdicator is particularly useful and important with certain "tough color matches." Your LEER Dealer knows when it should be used. While no one can guarantee exact color matches, VINdicator is the best way for us to match the formula in use on the day your truck was built.